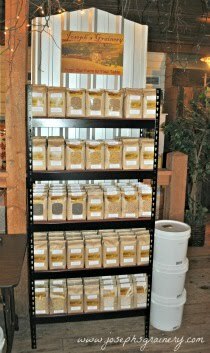 Joseph's Grainery: The Barley Is Growing! The Joseph's Grainery Barley has emerged from the ground and we thought you might like to see it! This barley is some of the first we planted this Spring on April 1st and this is what it looks like today. It won't be harvested until late July/early August. From there it'll be available on the store shelves and online by Fall. If you're in the Spokane area and lucky enough to taste a brew from a brewmaster who uses Palouse Pint malt, you might get to taste this very barley sometime next late Fall/early Winter or beyond. Spring is a special time around any farm. The miracle of life and growth is evident wherever you look. It's always simply amazing to look at the unhulled barley seeds you see below and watch the fields as they turn into the tiny little plants you see above.